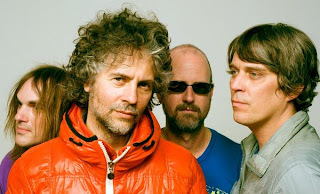 - The Flaming Lips, Phoenix and Pete Yorn at Allstate Arena – "WXRT Big Holiday Concert." 7 p.m., $40-50. More info and tickets. - Pelican at the Empty Bottle with Black Cobra and Disappearer - 10 p.m., $14, 21 and over. More info and tickets. Check out the recent Sun-Times interview with the band by Jim DeRogatis. - Cains & Abels at Bottom Lounge with Cavalier Rose, In Tall Buildings and All the Creatures of the Sea - 8 p.m., $10, 17 and over. More info and tickets. Click here for a WCR article and free download from the band. - Mahjongg at Hideout with White Car - 9 p.m., $10, 21 and over. More info and tickets. - I Fight Dragons at Metro with Pretty Good Dance Moves and Cobalt and the Hired Guns - 9 p.m., $10, 18 and over. More info and tickets. Check out our I Fight Dragons CD review here. - Russian Circles at Lincoln Hall with Young Widows, Sweet Cobra and Phantom Family Halo - 9 p.m., $12 advance, $14 at door, 18 and over. More info and tickets. - Marcus Foster at Abbey Pub with Blue Roses - 8 p.m., $10, 18 and over. More info and tickets.